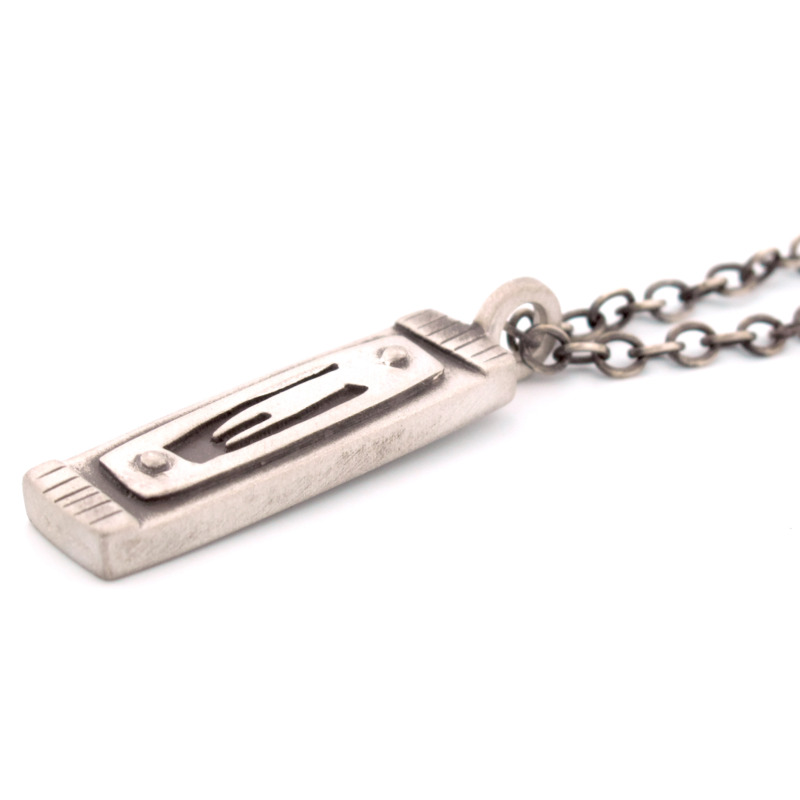 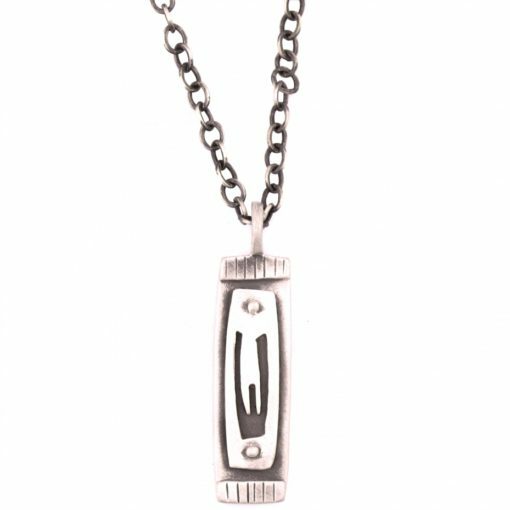 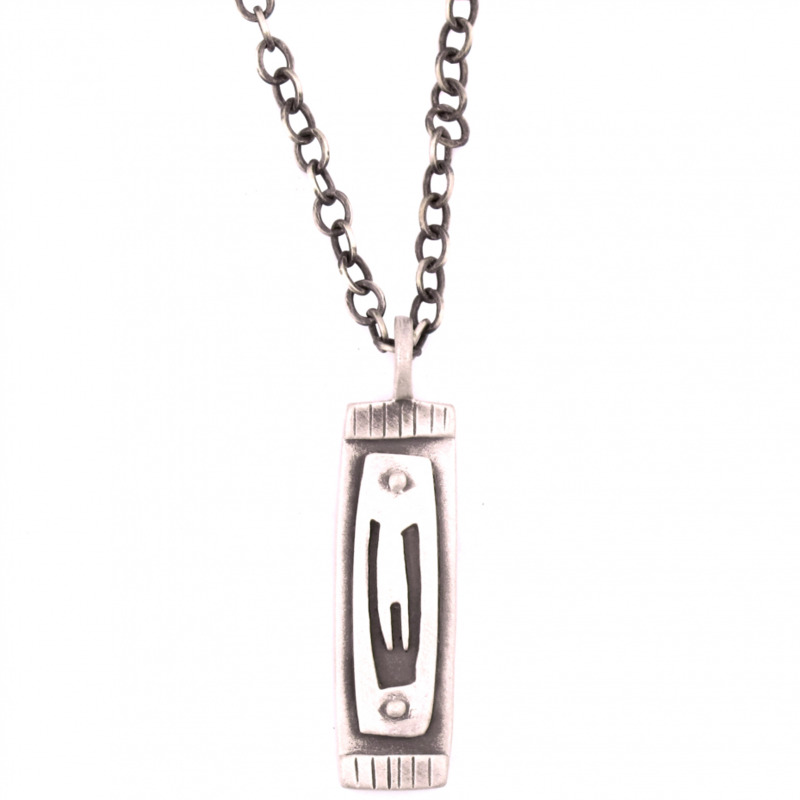 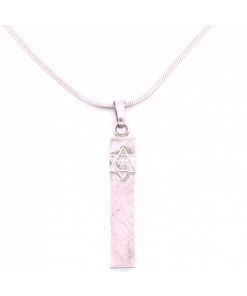 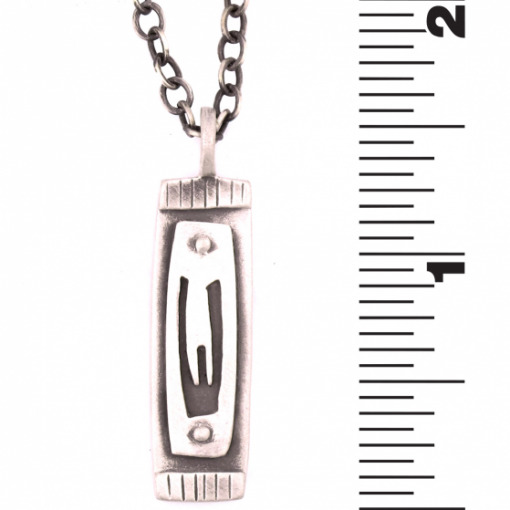 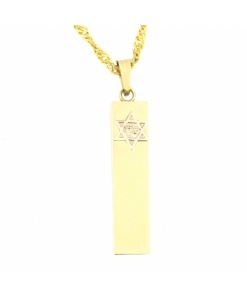 This new men’s mezuzah necklace features a graphic Shin held within the frame of a sterling silver pendant. 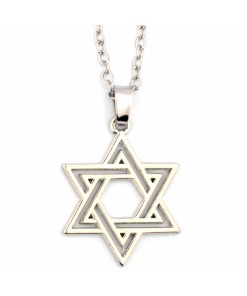 The reverse shows a Star of David held within a silver frame. 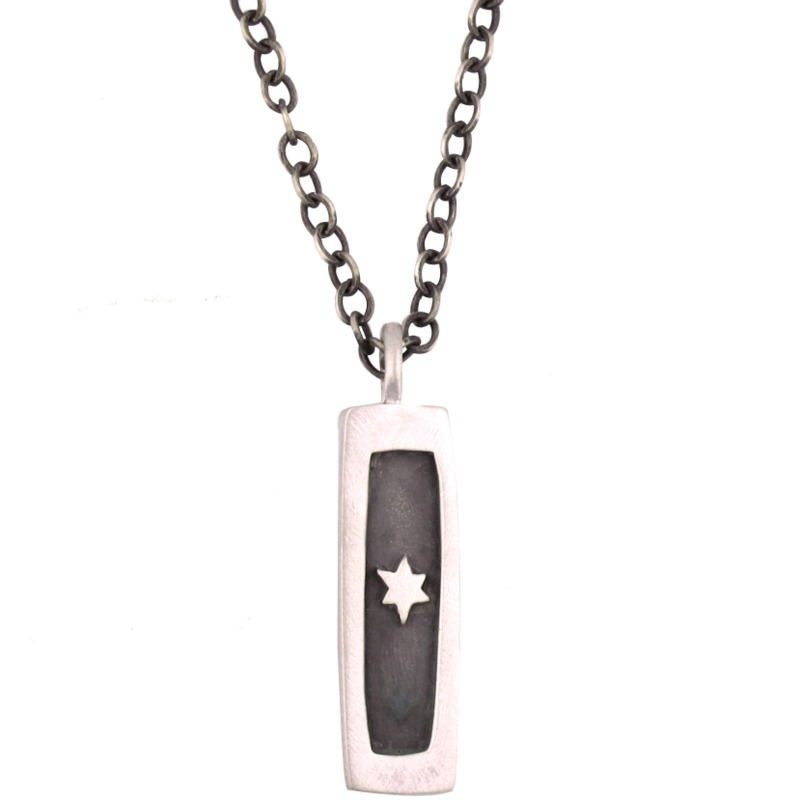 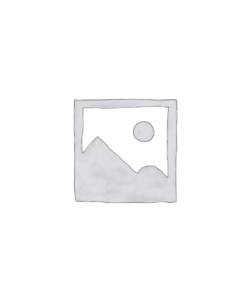 Both sides are carved deeply into a black oxidized background. 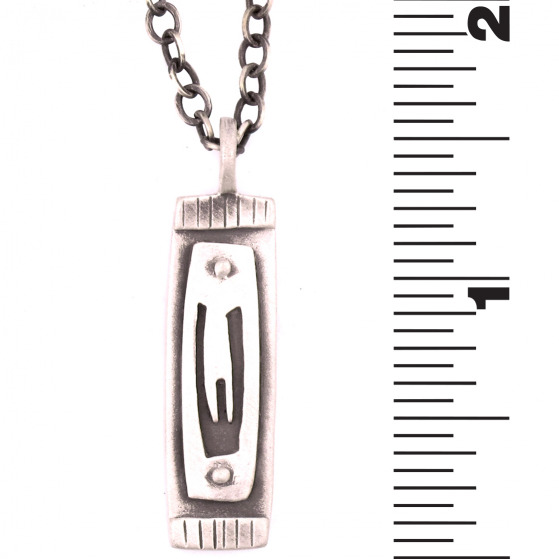 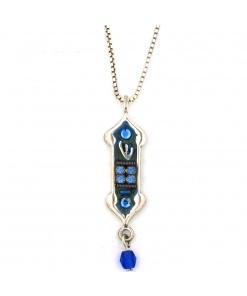 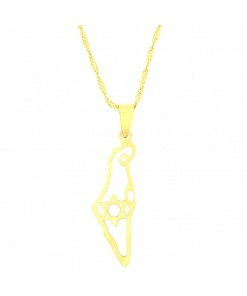 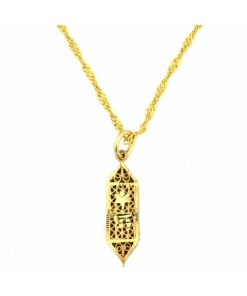 The pendant measures 1.25″ and hangs from a 19 inch chain.